Working in the community with the community! To carry out our projects in Harlow and the surrounding area MRCT works with local partners in the community. These provide a variety of support, facilities and food. 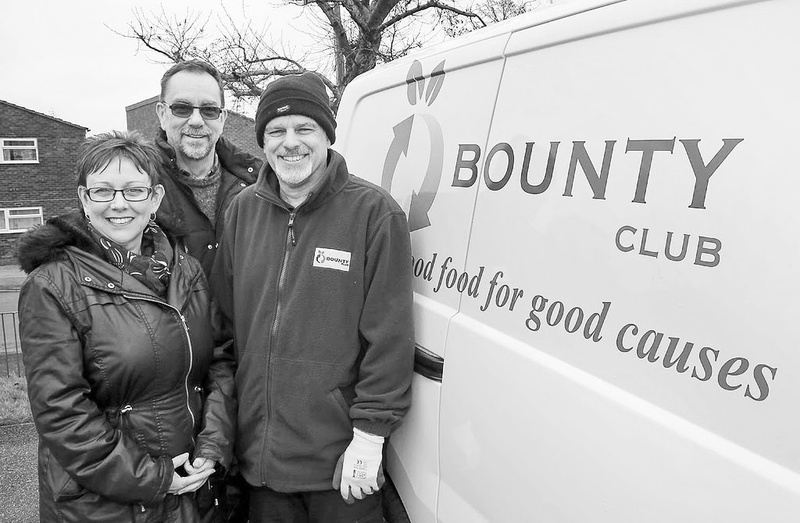 Sponsorship of Bounty Club refrigerated van and help and assistance with Foodbank transport and training. Sponsorship of the Foodbank van since April 2014. Delivery of recycled surrendered/restricted passenger non-perishable food, toiletries and gifts. Supply or surplus fresh food which is distributed to local front-line agencies. Providing surplus fresh food which is distributed to local front-line agencies. Monthly potato donations for Harlow Foodbank. Weekly salad donations for Harlow Foodbank. Greenways Eggs in Hatfield Heath supply the Foodbank with fresh eggs on a weekly basis. Provides a drop-off point for small food donations at Edinburgh Way, Harlow. Church and Community Working Together. Providing celebration cakes for local families via the Foodbank satellite centres. Assistance with Store House rent at Matching Tye, Harlow for 2016/17, 2017/18, 2018/19 at £3000 annually. Support with cardboard and general wastage for the foodbank. Affiliation to link with other nationwide foodbanks.